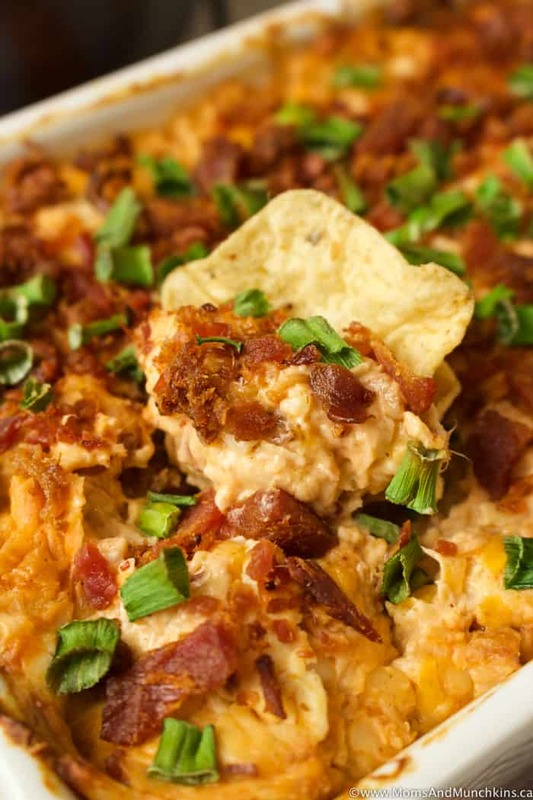 This Hot Chicken Bacon Dip is always a crowd-pleaser! Even before you get this baking in the oven, you’ll be drooling over the smell of all these ingredients together! 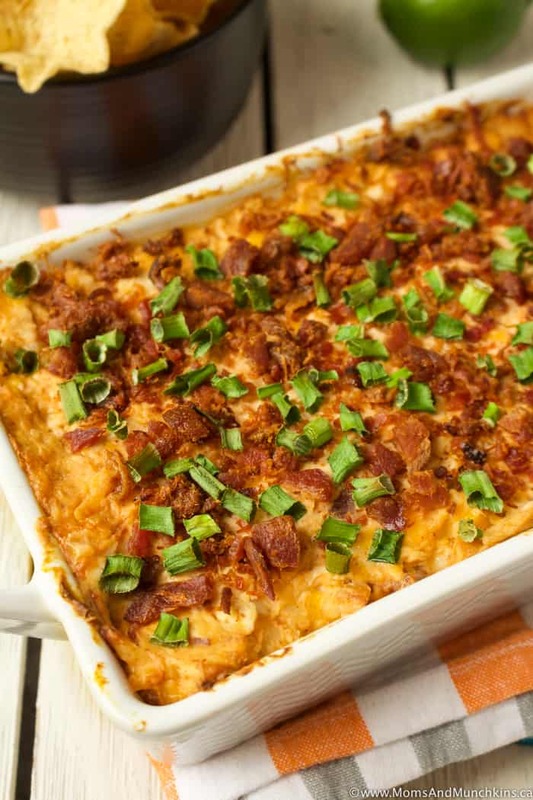 This is a great recipe to serve at your next football party, game night with your friends or even as a holiday party appetizer. It’s an excellent way to use up chicken from last night’s leftovers too. Ready to dig in? Let’s hop over to the recipe! This dip has a mild BBQ taste but if you want something spicier, simply use a spicier BBQ sauce. This dip tastes best when it’s warm so be sure to heat leftovers before you have that midnight snack. For the 2 cups of shredded chicken, I use 3 regular-sized cooked chicken breasts. 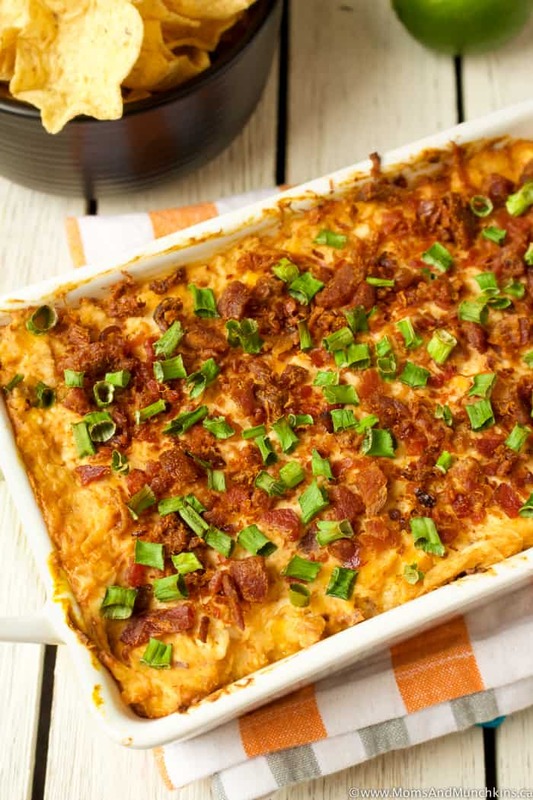 Stir chicken, cream cheese, BBQ sauce, brown sugar, lime juice, sour cream, shredded cheddar and ½ cup of the crumbled bacon together until well combined. Transfer mixture to a baking dish and top with remaining ¼ cup of bacon and the green onions. Bake for 25 minutes or until warmed thoroughly. 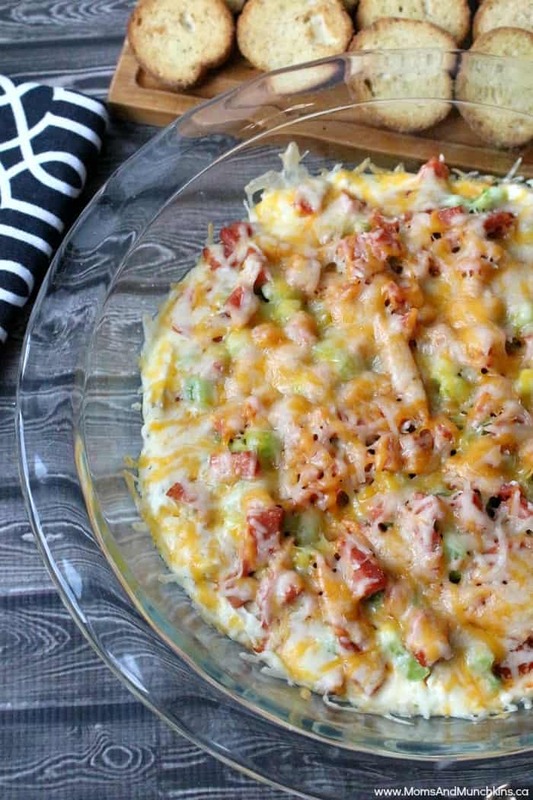 Layered Pizza Dip – a hit with both kids and adults! 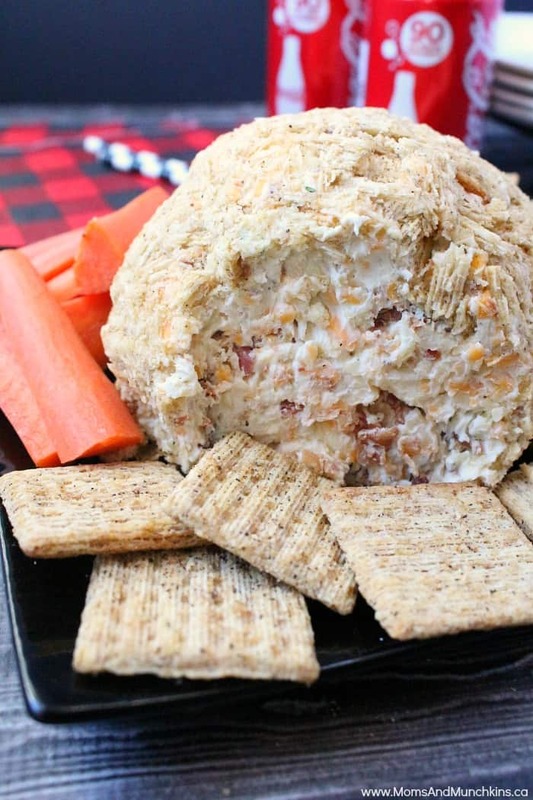 Bacon Ranch Cheese Ball – really easy to make but you’ll need to let this set in the fridge for a few hours before serving. Visit our Recipes page for even more great ideas! Never miss new home entertaining tips and recipes by following us on Facebook, Twitter, Instagram and Pinterest.